The news are filled with the marvels of modern technology. One of these is trace explosives detection equipment, a device that samples baggage at airports for explosive vaporise. 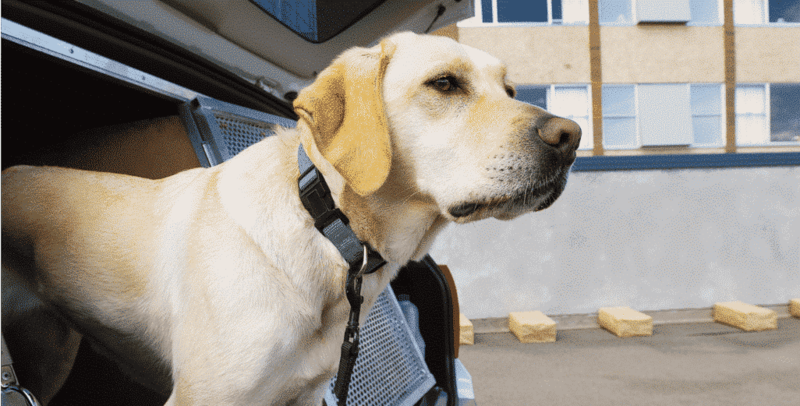 On the 15th of July 1997 SGN Nuerenberg, the public safety agency responsible for Nuerenberg International Airport in Germany, requested that the Police conduct comparison testing using a SOKKS™ trained explosive detector dog (EDD) and the airports trace explosives detection equipment. All SOKKS™ training aids contain HMX as the only explosive ingredient to train K-9’s and EGIS is capable of detecting this odour. The equipment used at the airport is identical to that purchased by the FAA and in use at large US airports. A SOKKS-MPTS® training aid was rubbed onto a paper towel and the towel was analysed by the machine, which did not detect any explosive residue. A SOKKS-MPTS® training aid was analyzed by the machine, which again indicated no explosive vapour. A SOKKS-MPTS® training aid was purposely contaminated with another explosive and then analysed by the machine, which clearly indicated the presence of the contaminating explosive. An employee of SGN Nuerenberg hid a SOKKS-MPTS® training aid within the confines of the airport lobby. After an intensive search, the K-9 located the aid which was hidden in a waste basket and gave a proper final response. The K-9 team was asked to search the administrative spaces of the airport. The K-9 gave a final response in front of a safe. Airport personnel then revealed that this safe, thought to be airtight, is used to store glass containers that hold the explosives they use for calibrating and testing the machine. This does not diminish the value of the mechanical apparatus, but serves to show that the K-9 still is and will be for quite some time, the best detector platform available to law enforcement and public safety agencies. All data concerning these tests was taken from the official files of the Bavarian State Police, Nuerenberg, Germany. The “machine” is not identified here by name to avoid legal issues. Copies of the test, in German, are available upon request.